I usually try to make a little weekend getaway to Nashville at least 2 or 3 times a year. 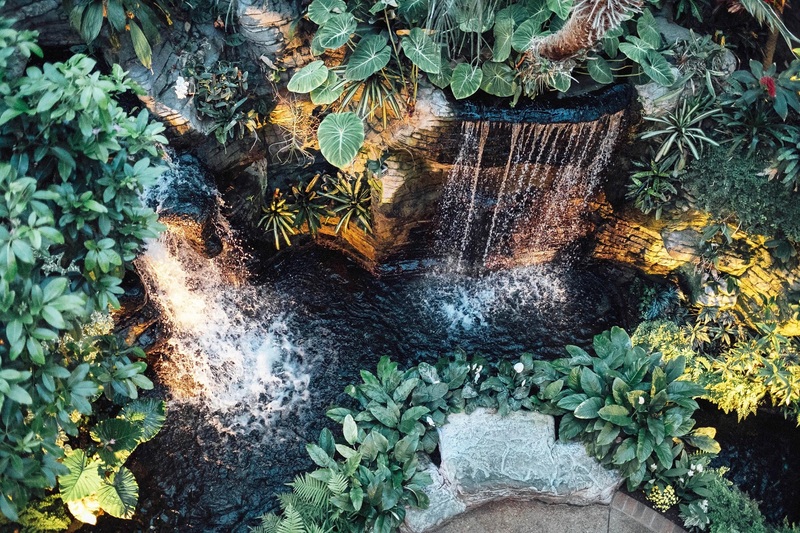 It’s only 3 hours away, and there is SO much to do there whether you’re looking for a family friendly vacation or a girls’ weekend. 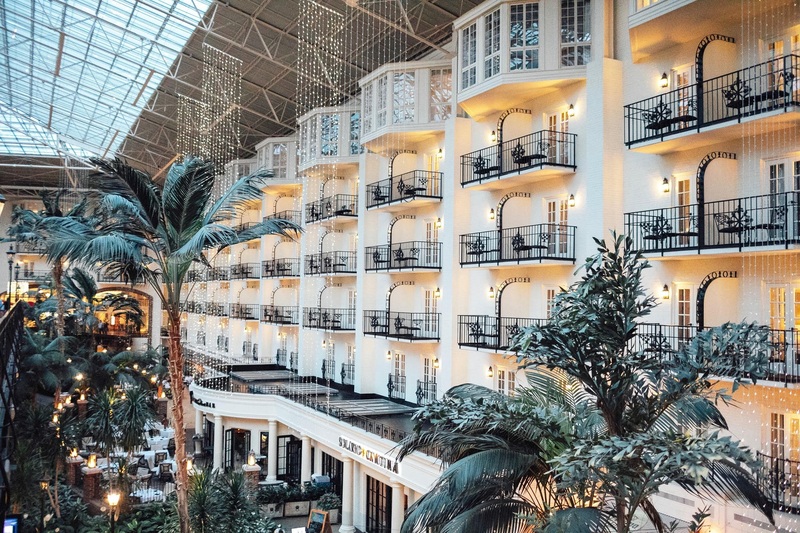 Leighton and I decided to spend Labor Day weekend in Nashville this year since I knew it would be one of the last warm weekends of the year where she could go swimming…and she absolutely LOVES the pool at Gaylord Opryland. 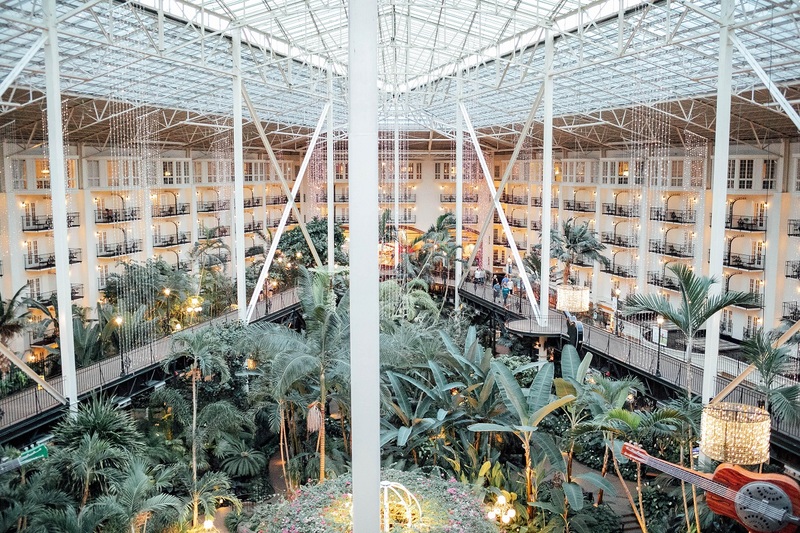 Of all the times I’ve been to Nashville, Gaylord Opryland is still my favorite hotel. We spent Saturday eating lots of good food including breakfast at Solario. We took it to go and let Leighton eat and watch some of her favorite movies in the room. Yeah, we Netflixed and chilled. = ) We got in Gaylord Opryland late the night before, so we were happy to have a low key, relaxing morning. Later we went swimming at the pool. They have a few different outdoor pools, and one of them is only 18 inches. It is just perfect for Leighton to splash and swim around in without having to wear her swimmies. They also have a bar outside where we ordered some lunch and smoothies. 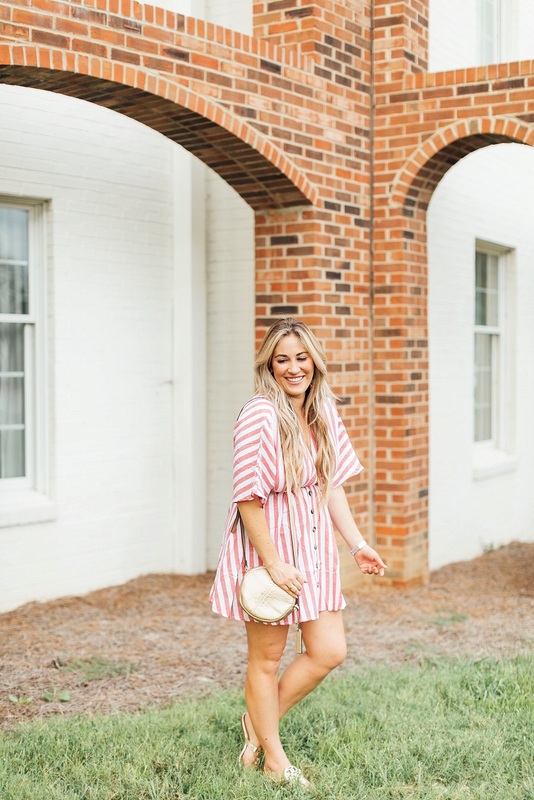 After all the sun and swimming, we were exhausted later that night, but if you’re in town and looking for a good dinner, you won’t want to miss Old Hickory Steakhouse. 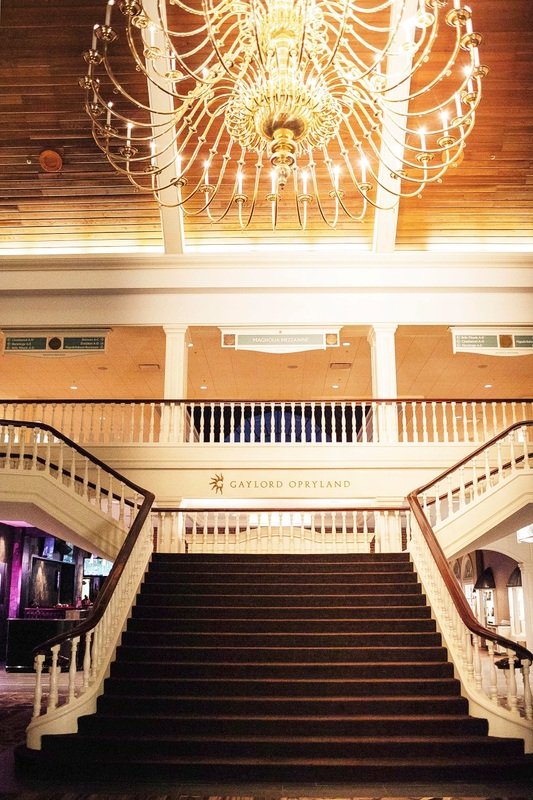 The Nashville location was the first Old Hickory, and now each Gaylord has one inside it. I’ve eaten at the one in Grapevine, TX a few times too, and it never disappoints when you’re looking for a great steak! On Sunday I started the day with a mani and pedi at the Relache Spa at Gaylord and then we all did some shopping at Opry Mills mall. It’s such a great outlet mall with so many good stores like Sun & Ski, Janie & Jack and J.Crew. And then we had dinner at the mall at Aquarium Restaurant. We’ve been saying we were going to eat there for years, so I’m glad we finally waited out the hour long wait to get a table. But it was worth it. The food was even better than I could have imagined. I had scallops, yum! And Leighton was entertained for over an hour the entire time we were there, and trust me, that never happens. She loved looking at the fish and stingrays in the aquarium right across from our table. I can’t wait to go back again this year, and when we do, Gaylord’s new waterpark will be open! As if there wasn’t already enough to do there. Leighton is going to love it even more next time when we go back! Between the new waterpark and the Christmas decorations and Santa, she will definitely be on cloud 9. 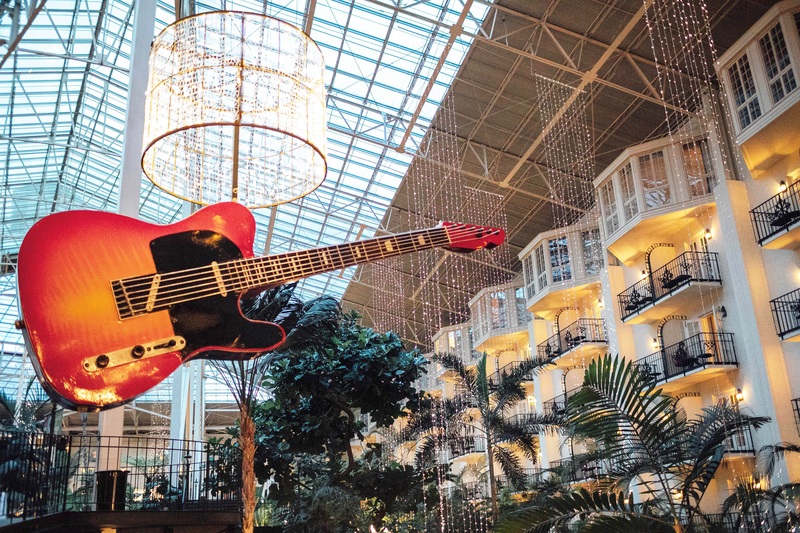 What are your favorite things to do in Nashville? 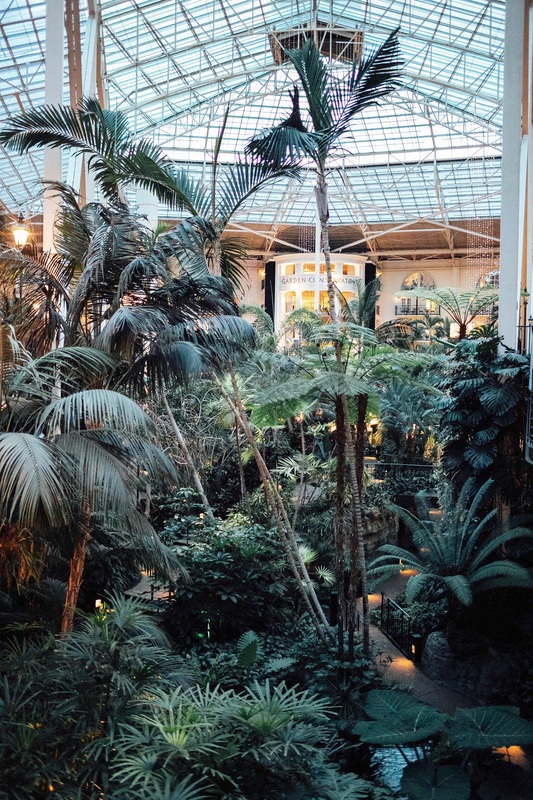 Have you been to Gaylord Opryland? 2.) Take an indoor boat ride. 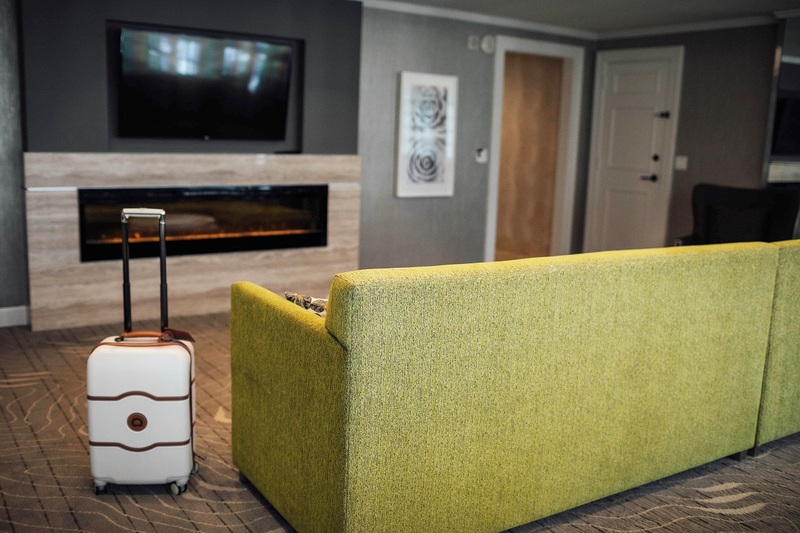 You’ll even get a little history lesson on the hotel. 3.) 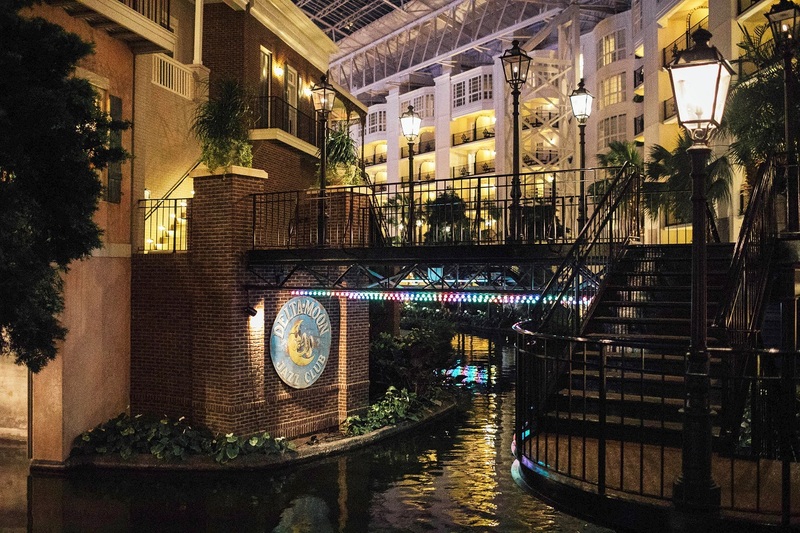 Stay at Gaylord Opryland during the holidays to see it decorated for Christmas. Trust me, you just have to see it in person! 4.) Check out the new waterpark that opens December 2018. I cannot wait to come back and update y’all with more pictures once we visit the waterpark. 5.) 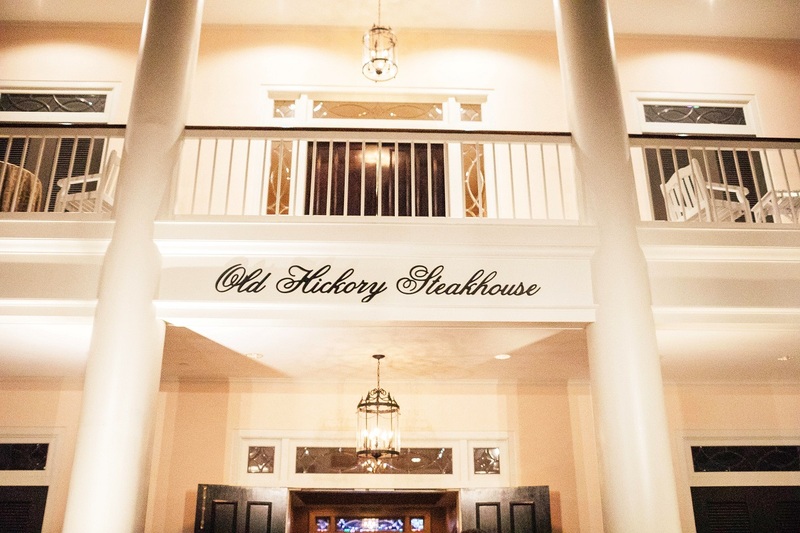 Have dinner at Old Hickory Steakhouse. 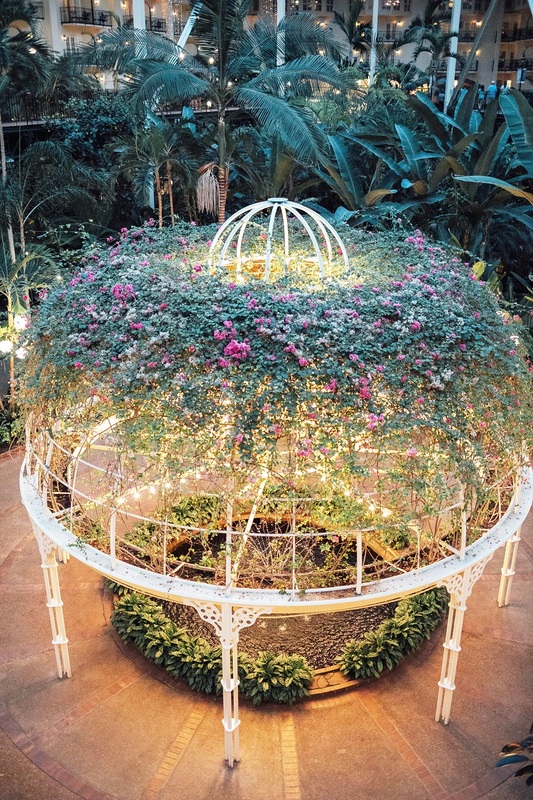 Not only is the food amazing, the atmosphere is just perfect for a nice dinner while overlooking the gardens. 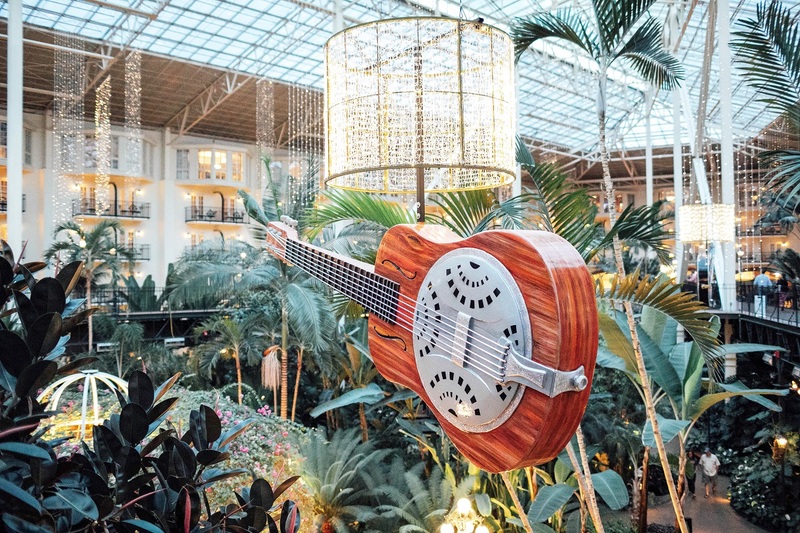 Loving this Gaylord Opryland feature? Click here now for more of my favorite travels!! Seriously such a cool space! I’ve always wanted to visit so thanks for the introduction. Will definitely add it to my list! Oh my gosh what an incredibly cool space! Looks like endless possibilities for adventures. The indoor boat ride sounds so cool! This looks like a great place to visit. I need to add it to my bucket list! I have been to this property about 5 years ago. I remember it was phenomenal. Looks like you had a great time too. Lovely pictures! I’m obsessed with that Hotel. Its amazing!! What a fun trip! I went to Nashville in the spring but I’m itching to get back as soon as possible! 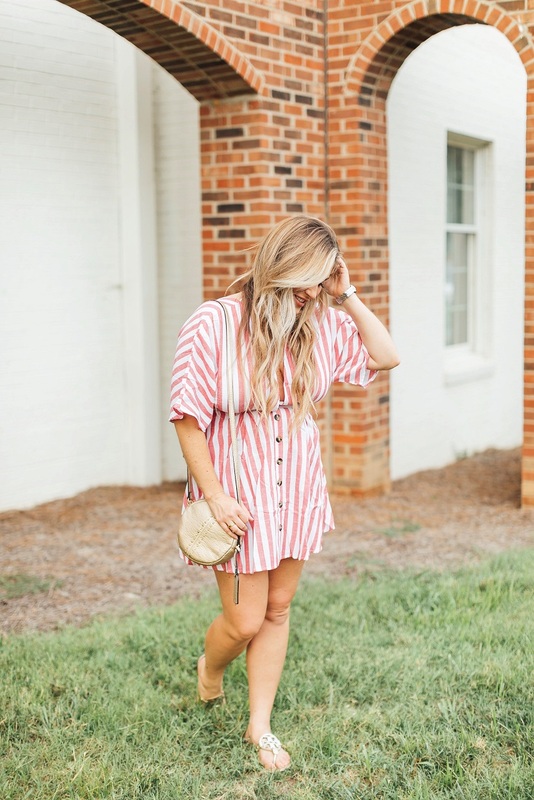 Love your dress, too. Wow this is absolutely stunning! I would LOVE to go here!! I live so close to here but only come during Christmas! 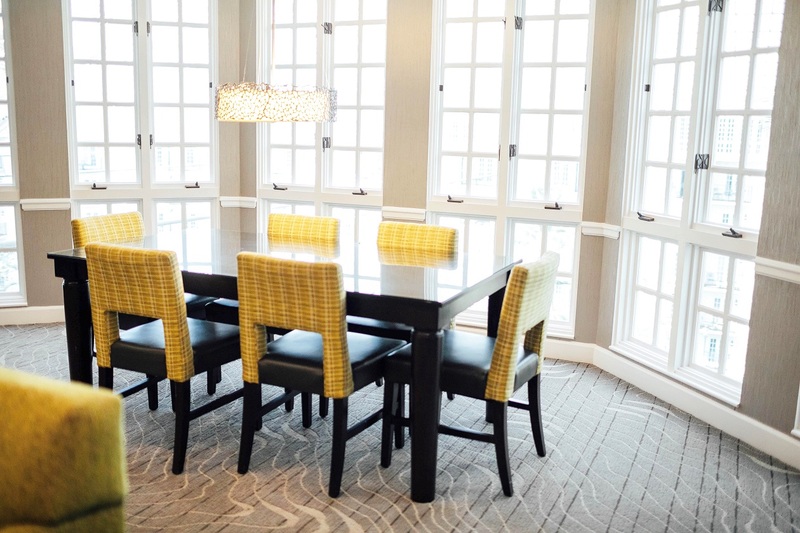 It’s just a beautiful hotel. Goodness, this place is truly spectacular! 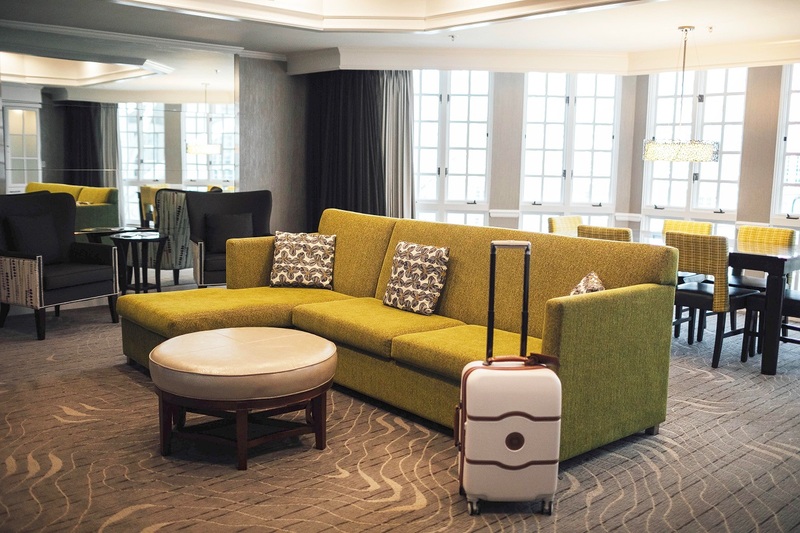 Just seeing all that luxurious indoor decor makes me want to visit! It sounds like such a fun place to stay!! So fun! I have been wanting to go here and you just sold me even more. I absolutely need to make it happen! Thanks for sharing gal! This looks and sounds like such a great time! Starting out with a spa day is always a good idea! What a charming place! Truly IG-worthy! And yes, indoor boatride sounds really fun activity with your kids. This is on my bucket list to visit! I’ve never even been to Nashville! So fun!